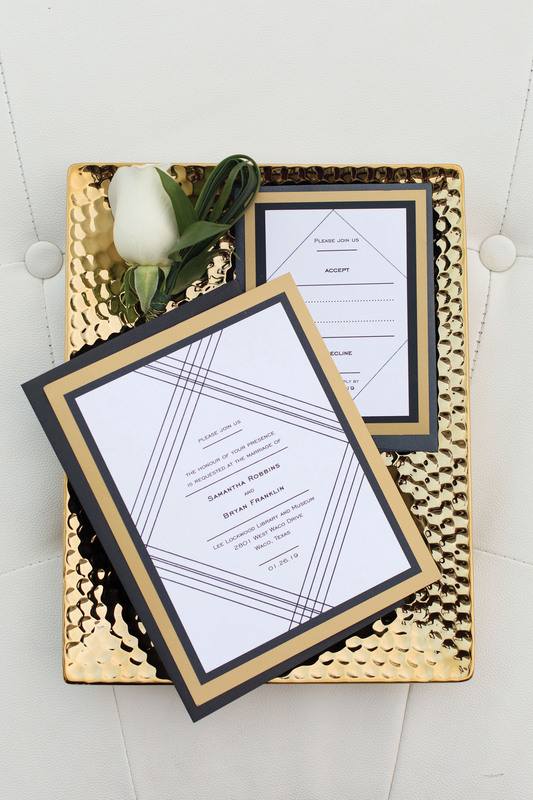 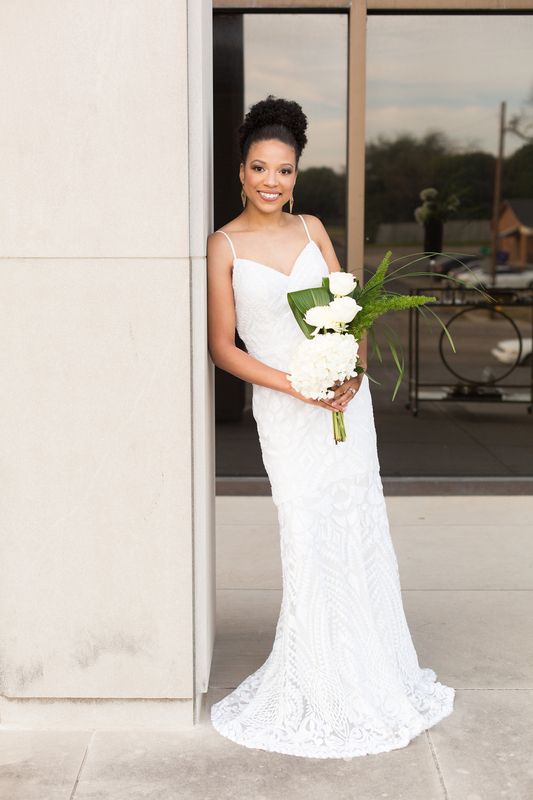 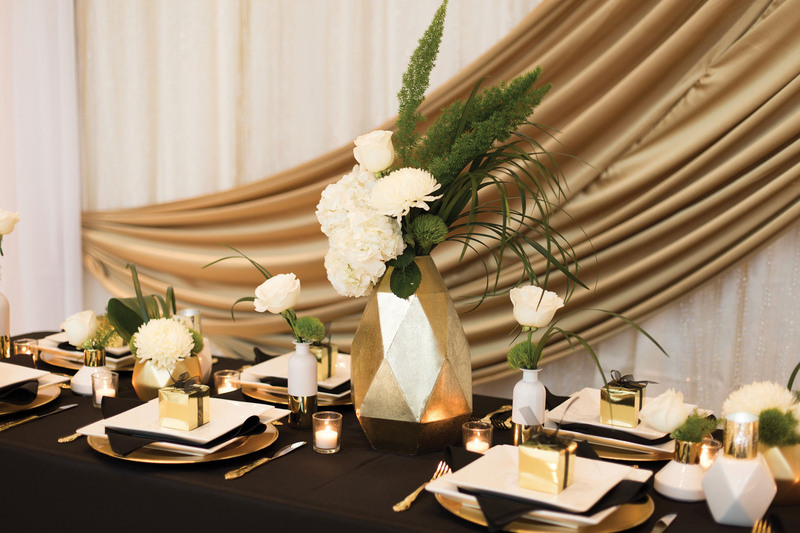 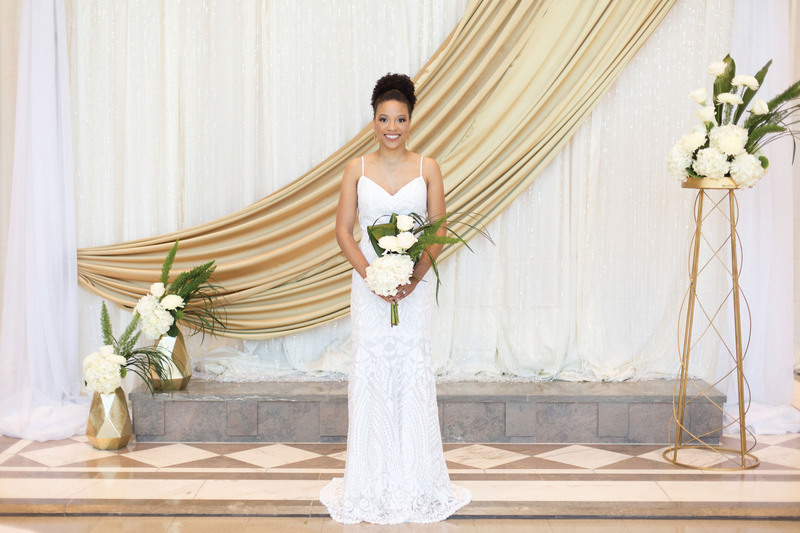 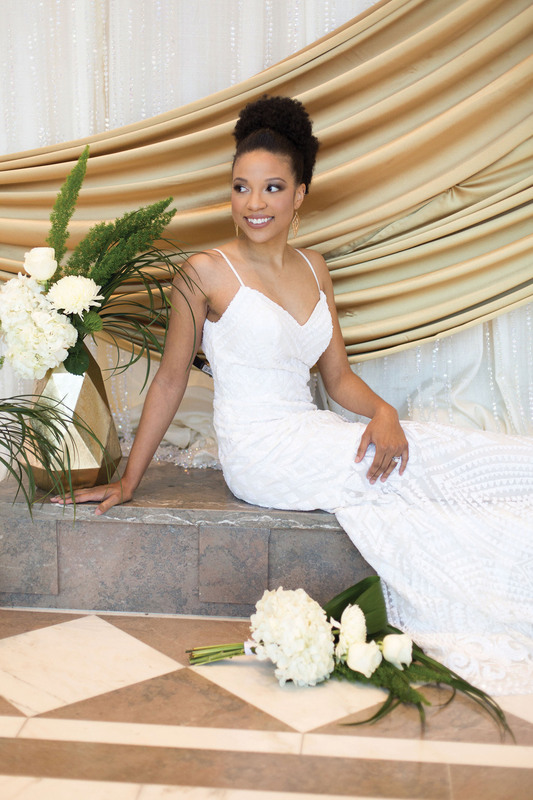 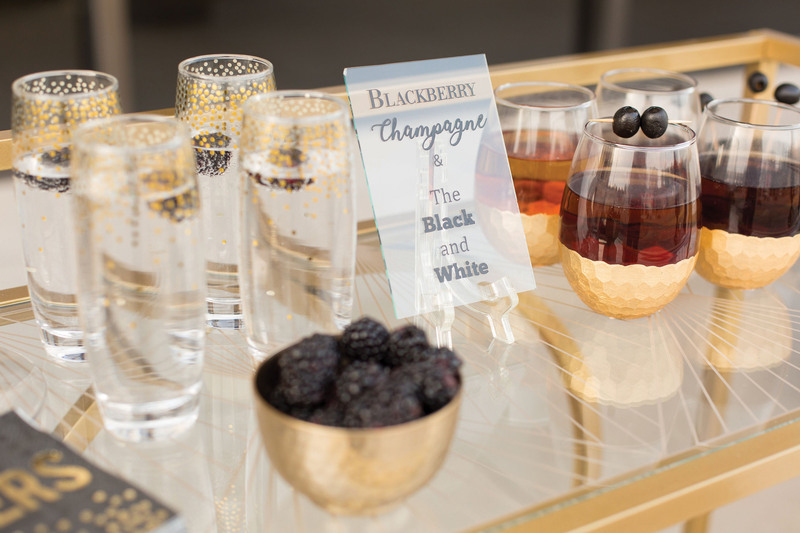 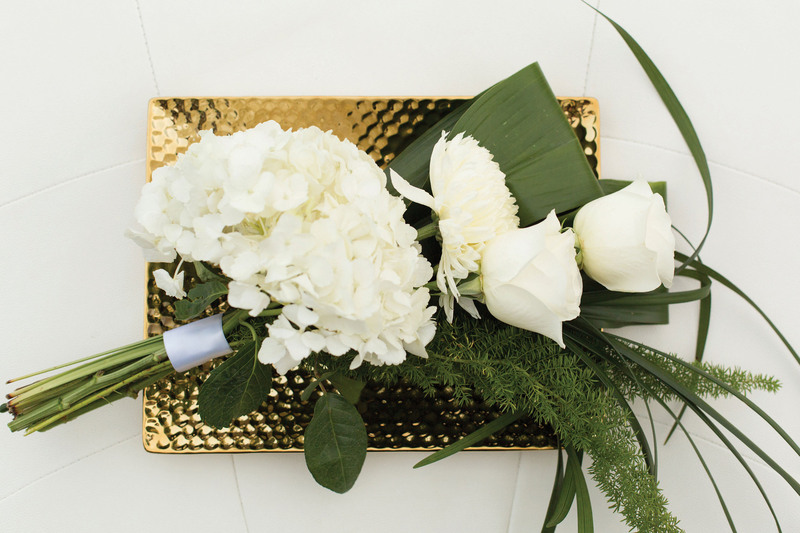 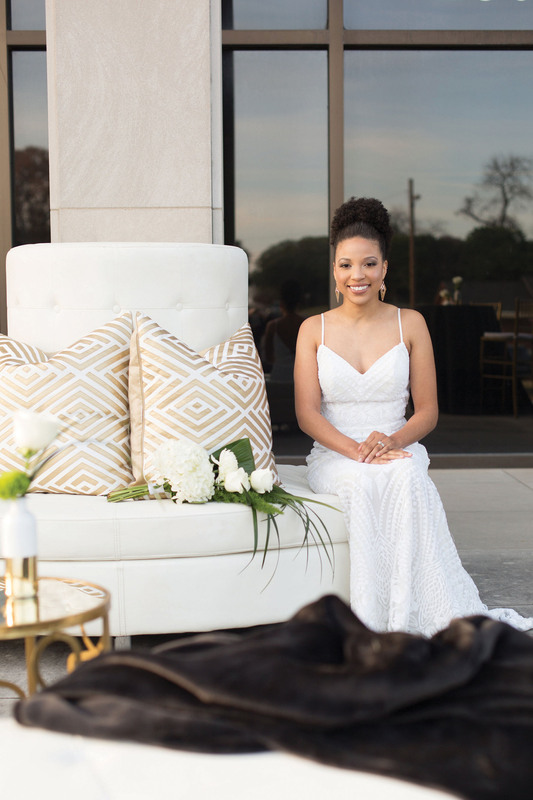 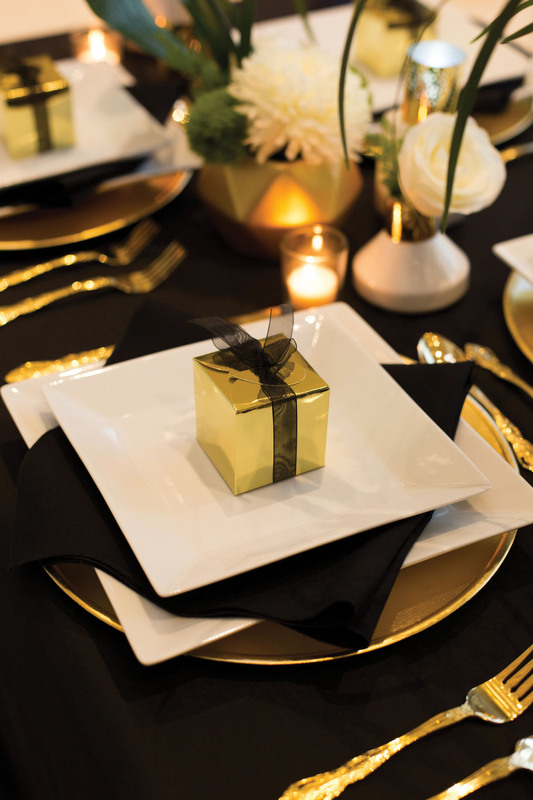 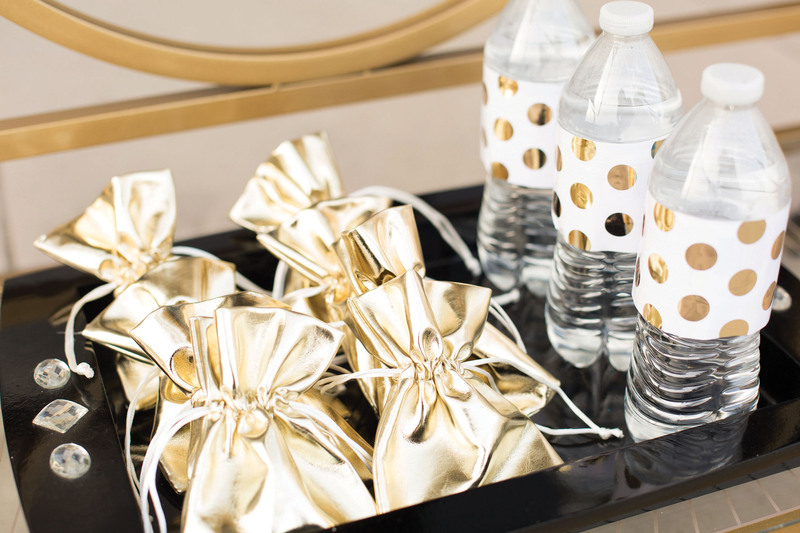 Clean lines and bold accents created an elegant, modern design at our latest styled shoot. 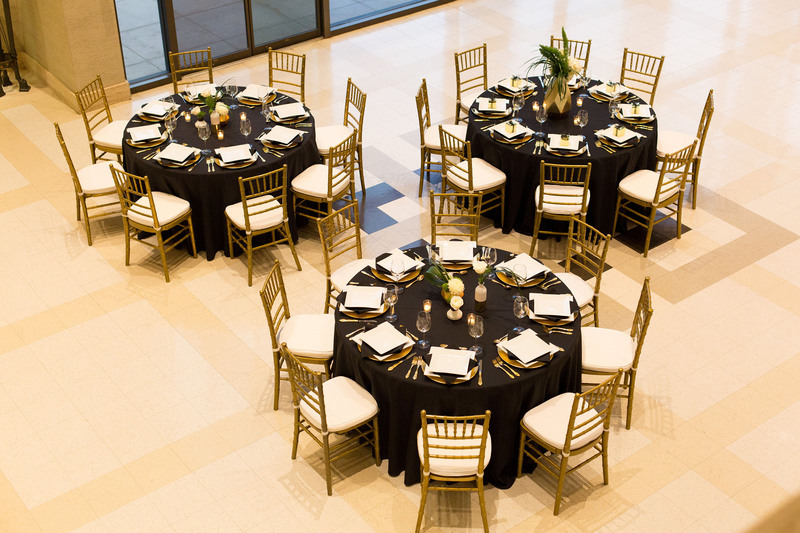 The sleek architecture of the Lee Lockwood Library and Museum provided the ideal backdrop for soft, white roses, delicate, gold draping and a fitted wedding gown with subtle geometric details. 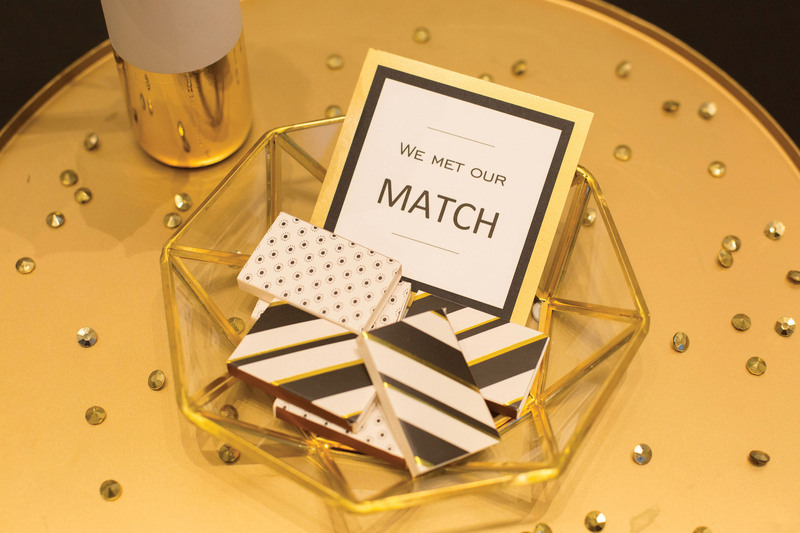 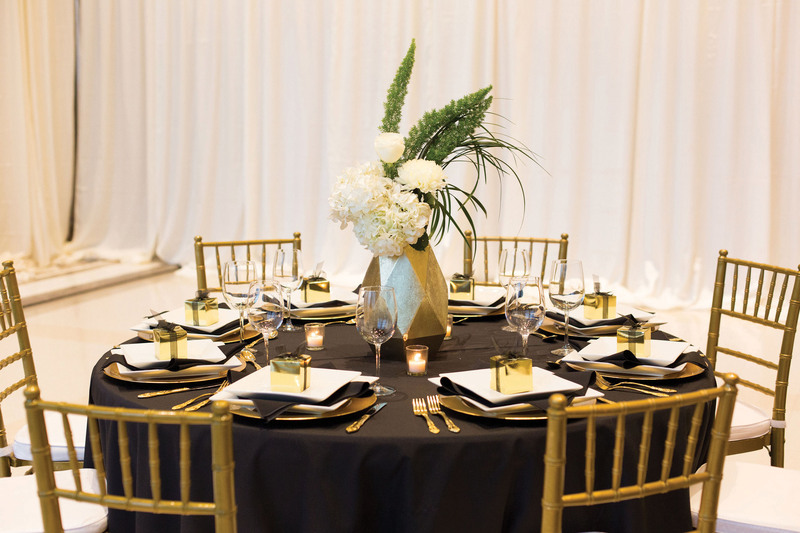 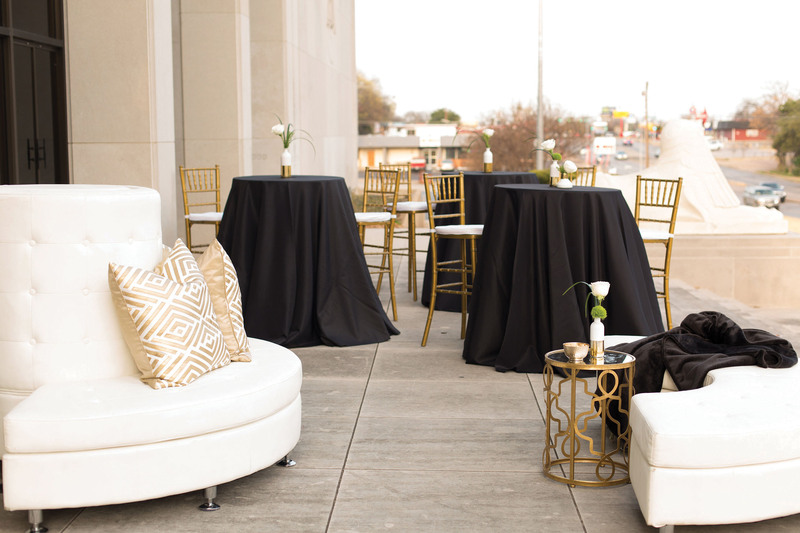 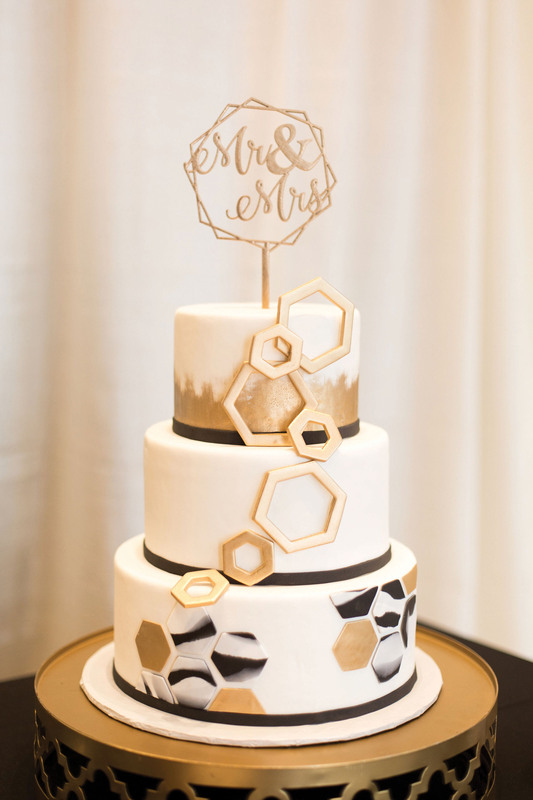 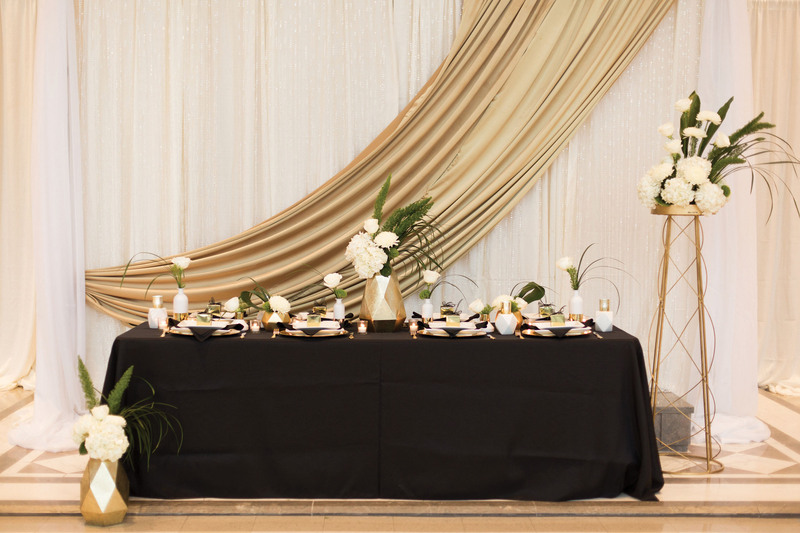 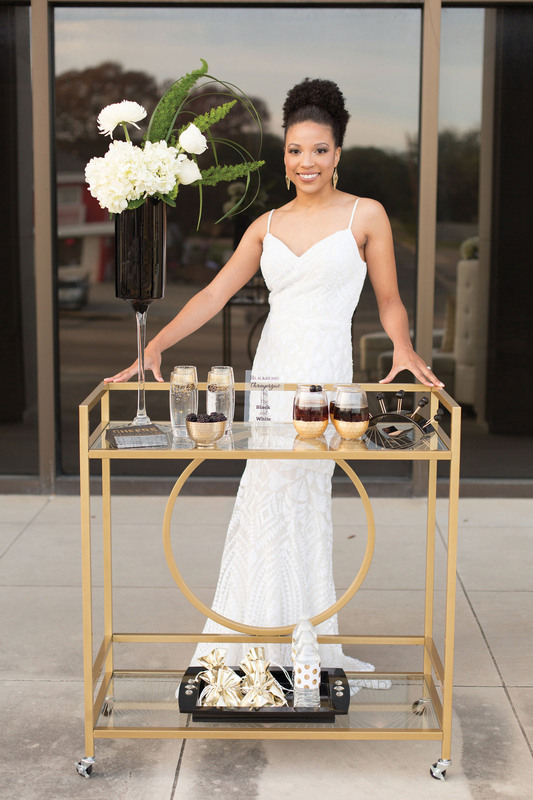 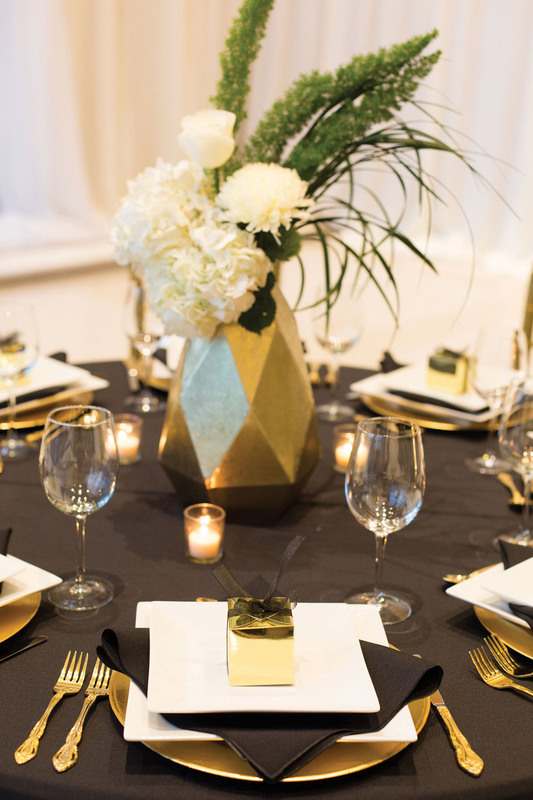 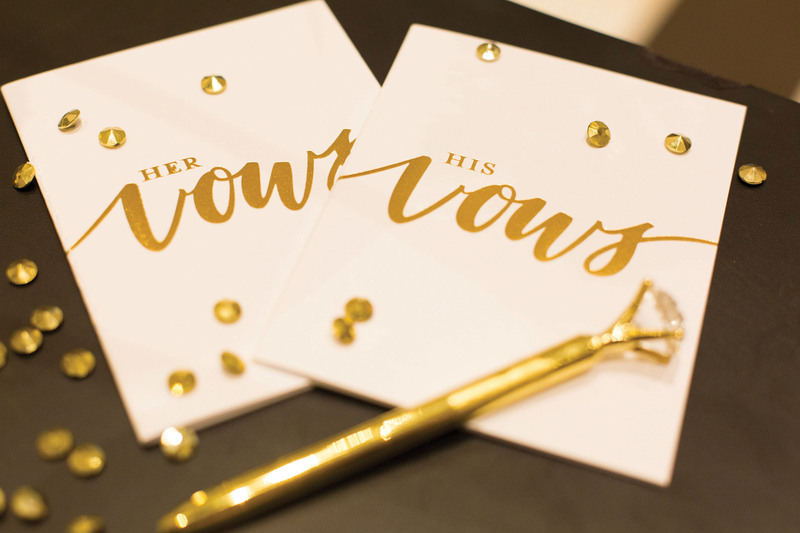 Bold patterns on the bar cart and cake topper highlighted the modern vibe, and black linens and gold Chiavari chairs created drama in the reception space. 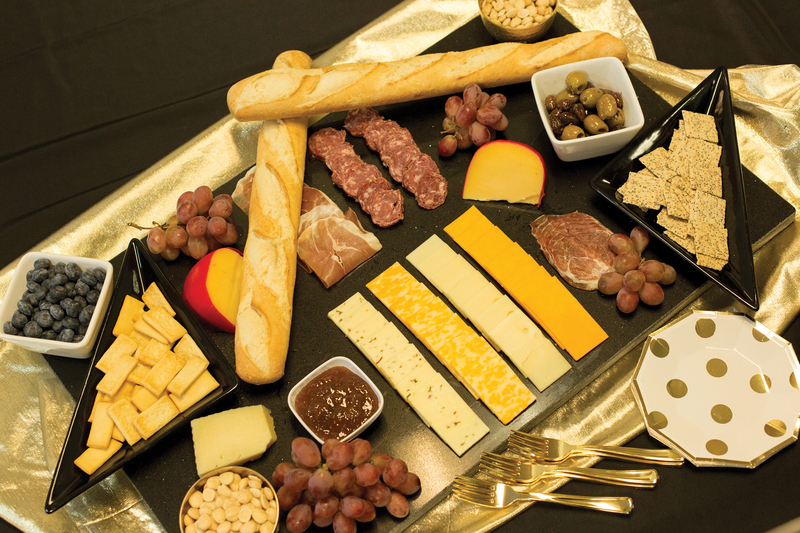 An elegant charcuterie tray, topped with savory meats and cheeses, complimented the décor and added to the modern aesthetic of the shoot.